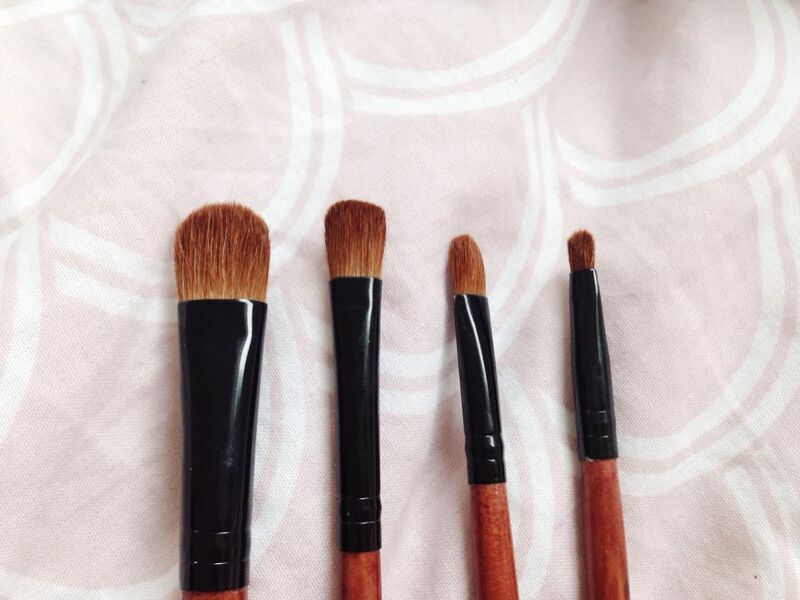 Today I thought that I would show you all the makeup brushes I own. I am currently in the market for new ones, but I do feel as if I have all the essentials. 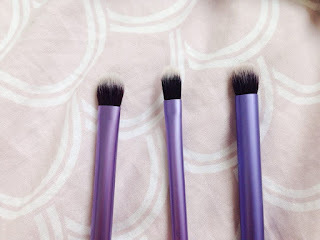 Because of this, I hope this blog post can act as a guide if you are looking to buy your first brushes or just expand your collection. 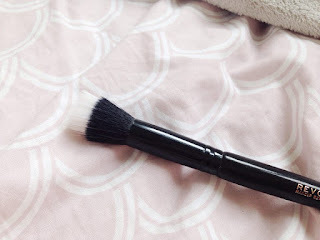 I am wanting a good angled cheek brush/contouring brush, a dense flat shader eye shadow brush and a couple of less dense super soft blending brushes, so if you know of any, please do recommend in the comments below! Not only would this help me but it would also help other people if they are looking for something I don't own! Lets get started! 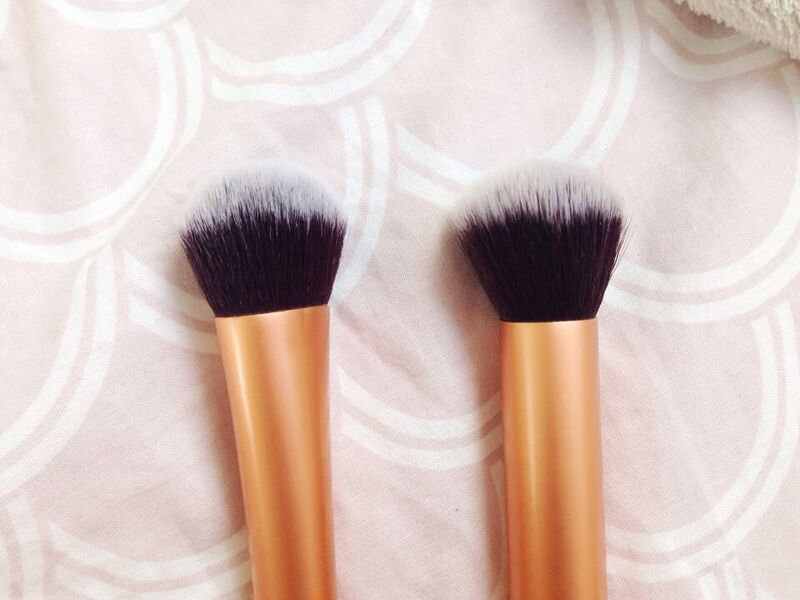 For foundation, I like to use either the Real Techniques expert face brush (left) or the Real Techniques buffing brush (right). 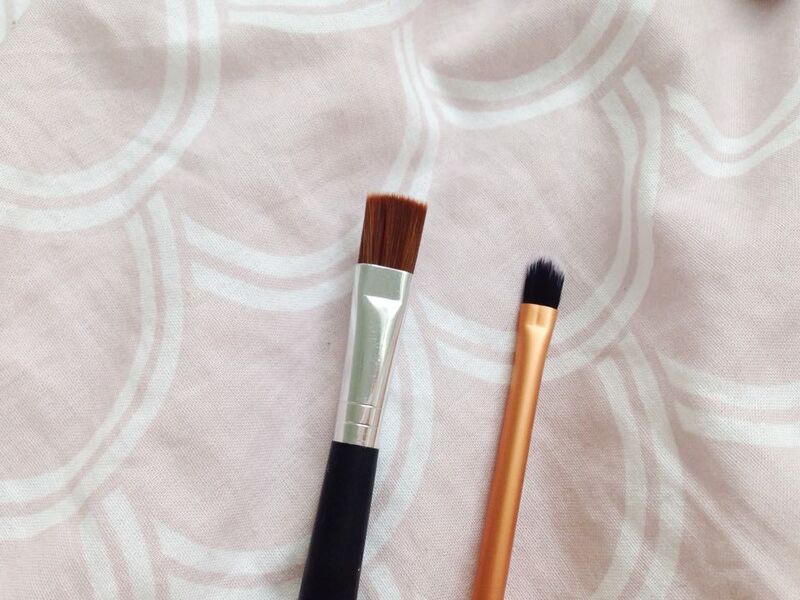 If I had to pick one however, I would go for the buffing brush as it works amazingly at buffing product in. 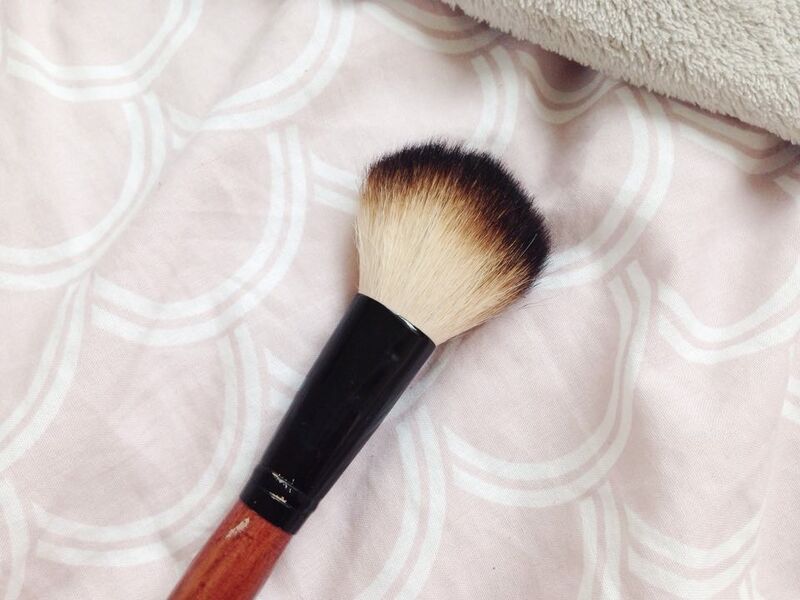 The expert face brush is also really good for contouring, especially cream, as it elongated/more tapered so it fits in your cheekbones easier. In my opinion, the buffing brush works better with higher coverage foundations and the expert face brush works better with lighter/medium coverage. I also own some of the more traditional foundation brushes. I rarely use these because I do prefer the buffing style. 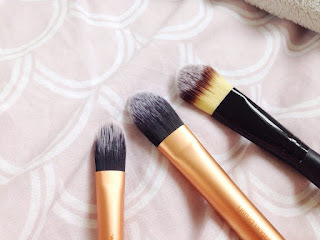 The ones here are the Real Techniques pointed foundation brush, the Real Techniques essential foundation brush and then a random one from a set from Amazon, which I actually like to use with face masks. For concealer my favourite brush is the Real Techniques contour brush. It is the perfect density to evenly blend the concealer, but it does also work really well for contour. If I am spot concealing, I will use either this really old random one which I have no idea where its from, or the Real Techniques detailer brush. 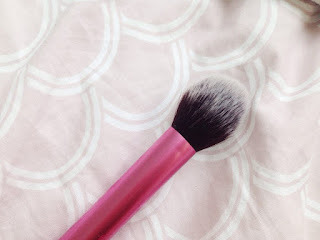 For setting my face with powder I like to use this Sephora cheekbone blush brush as it is the perfect size to prevent over powdering, which is good for me as I have dry skin, and putting on too much powder can make me look a lil cakey. 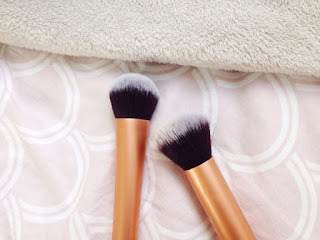 Other face brushes I have include the Real Techniques multi task brush, which is amazing for everything, I especially love it for bronzing. 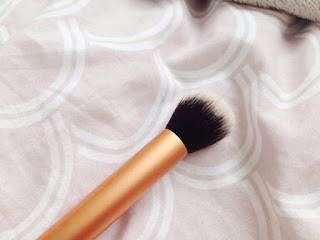 The makeup revolution stippling brush, which is again good for everything and the catwalk glamour powder brush, which again is a lovely multi tasker. 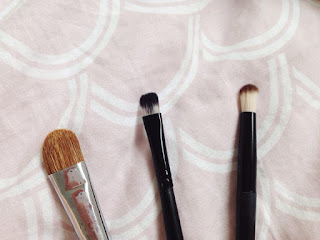 For brows, I have a random one, the Real Techniques brow brush and the seventeen winged eye brush. I like the first one for pressed powder brow products, and the seventeen one for loose powder brow products or cream brow products. I don't like the Real Techniques one for brows as I don't find it dense enough, but it is good for eye lining purposes. Speaking of eye liner, the one thin style eye liner brush I have is the Real Techniques fine liner brush. 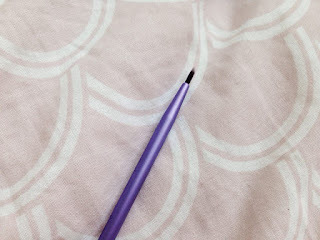 I like the use this with black eye shadow close to the lash line, as it is very precise and gives a fuller lash effect. For actual eye shadow, I love these ones from Real Techniques. 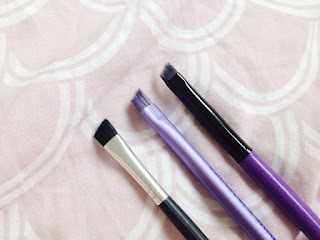 I have the domed eye shadow brush (travel essentials set, also my favourite), the base shadow brush (starter set) and the deluxe crease brush (starter set). These are really great and do the job. 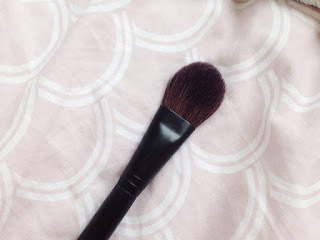 I love love love the domed shadow brush as it is so versatile and amazing for blending. The others are good for placing product, the base shadow one for the lid and the deluxe crease one for the crease. I do this then blend it all out with the domed one and boom - you've achieved a great eye look. My absolute faves for blending are these ones from catwalk glamour. They are incredible! So super soft and they just work so well at giving a really smooth, effortless look to the eye. I like the use the tiny one for highlighting the inner corner and brow bone. And finally, I have a few miscellaneous ones. The first two are quite old and random, but they are both really good for packing on pigment. The last one is from Avon, and is really good for precise crease work. I did actually have another brush from Avon, an angled cheek one, but I have no clue where it has gone! I hope you enjoyed this blog post, it took me so long to write out for some reason! 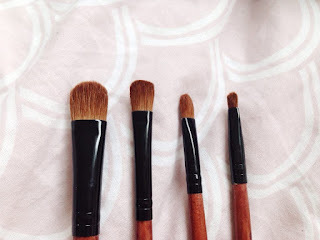 Anyhow, I have enjoyed talking through all my brushes with you all and maybe if I do purchase some more, I will do a haul or an updated collection. Let me know if you would like that.